Solar power can reduce or eliminate electric bills: By using electrical power produced by solar energy, you can slash your electricity costs by a significant percentage. Depending on the cost of electricity in your geographical area, you may even be able to eliminate your electric bills completely by using solar energy. In addition, you may be able to sell any extra electrical power generated back to your utility company. Solar power installations can boost home values: A home with a solar power system in place can easily be more valuable than one without. Solar-equipped homes tend to sell much faster, sometimes twice as fast, as homes without solar equipment. You can expect a solar-equipped home to appreciate in value faster than a home without solar installed. Solar power qualifies you for federal tax credits: When installing a solar power system in your home, you’ll qualify for substantial renewable energy tax credits provided by the federal government. Federal tax credits currently amount to 30 percent of the cost of the solar equipment and installation, with no limit on the total amount of the credit. The solar equipment must be installed before the end of 2016. 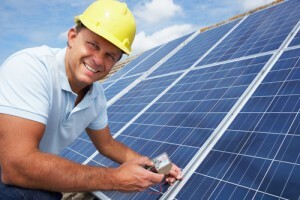 There may also state or local programs that could reduce the cost of your investment in solar power. Sage Builders, LLC, a general contractor in Newton, MA, provides residential customers with professional design/build services for new construction, residential additions, and home renovations. Contact us today for more information on how to save money using solar power and the difference that solar power can make in your daily life.